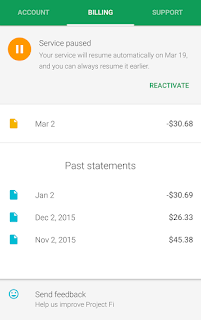 A while back I told you how Google was changing the MVNO game with a service called Project Fi. Fi is an MVNO which is a mobile carrier that uses another carrier's network. MVNO's tend to be cheaper because they use the network infrastructure of the big 4 (Verizon, AT&T, T-Mobile, and Sprint) have built and maintain. This reduces costs and those savings are passed on to customers. Signing up for Project Fi used to be by invite only (it required you to sign up on the Fi website and wait a week or two to get approved) but now the invite part is gone. 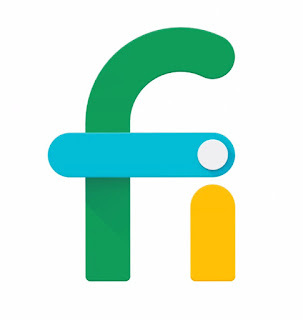 If you head over the the Project Fi website and log in with your gmail account, you can sign up for the service and you'll be shipped your SIM card. You'll still need a supported phone which currently means only the Nexus 6, 6P, and 5X. Luckily you can find Nexus 5X phones in the $200 range all over the internet and even deals for the 6P can get you a high quality phone for a little over $400 if you look hard enough. Google has a deal going on right now that will get you a Nexus 5X 16GB for only $199 if you buy it though the Fi website, but it's a limited time offer and 16GB simply isn't enough storage for a phone without SD card support. Google's Project Fi uses T-Mobile and Sprint's networks along with heavy dependency on WiFi as well. I tested out the service and found it to work just fine. I was able to make phone calls on WiFi and couldn't tell which network I was on while surfing the internet. To be honest, T-Mobile has really good service in my location and I routinely get 30 to 40 Mbps down and almost 20Mbps up so I don't know how much Sprint service I used. The basic plan is $20/month for unlimited voice and text messages and you pay $10/GB for data used when not on WiFi. You basically prepay for your voice, messaging and data and whatever data you don't use, you'll get credited back on your next month's bill. If you go over your prepaid data limit, you'll be billed at a prorated amount. For example if you paid for 2GB of data but used 2.127GB, you'll be billed an extra $1.27 on your next bill. If you paid for 2GB and only used 1.20GB, you'll see an $8 credit on your next bill. You can see in the picture above, I initially paid for voice and text and 2GB of data. My bill was $45 for the month. 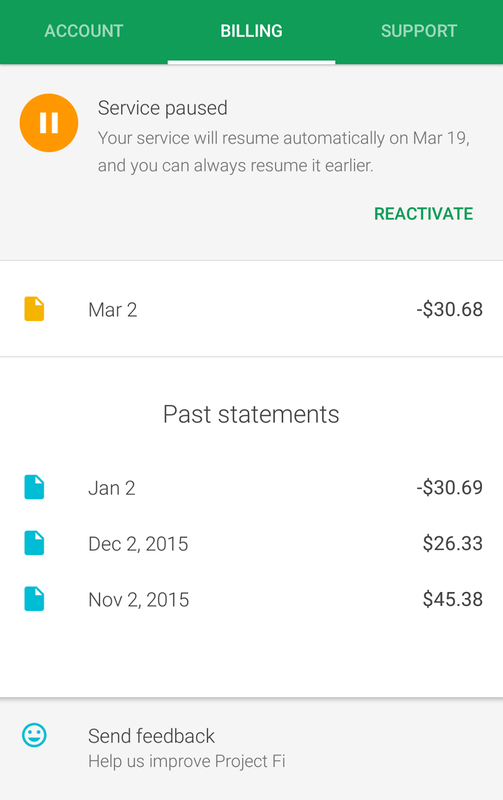 I didn't use all of the data and got a $14 credit in December. I kept the service but didn't use any data in December so now I have a $30 credit on my account. In the Fi app, you can manage your account and see your current usage, billing and a support page to contact customer support if you have any problems. If you're looking for a phone that will be used mainly in a home with WiFi and at work with Wifi, Project Fi might be the one for you. I'm a heavy mobile user and typically only use 2 to 3 gigabytes of data monthly. Granted I don't stream much video, but I do stream lots of audio. If I were to switch to Project Fi full time, my monthly bill would be around $55-$57/month which is about $20 cheaper than my already cheap unlimited everything T-Mobile plan that costs about $75 monthly.